Summary : Have an Idea? Need an Idea? Teachers Pay Teachers allow users to shop for lesson plans, class materials, unit plans, and more. 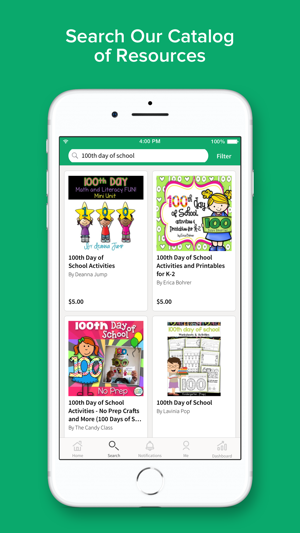 All the materials posted to this app are made by teachers, and the cost of downloading the materials ranges from free to more than $10. 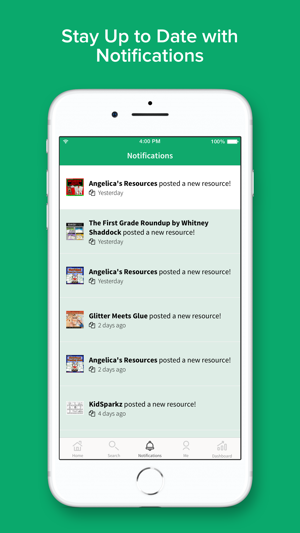 To download the materials, users need to visit the app’s website (www.teacherspayteachers.com) and register. If not, users will only be able to browse the materials posted to this app. To find materials, users can select the “Home” button on the bottom of the screen to view materials organized by Top Categories, New Sellers, or Top Sellers. If users want to search for more specific materials, they can tap the “Browse” button and then search for materials by Grade Level, Subject, Type, or Price. When users find material of interest, they can pay to download it (if it costs money), add it to their wish list, preview it, or share the link to it over email, social media, or text message. If users add it to their wish list or purchase it, they will be able to access the material using the “Wishlist” or “Purchases” button on the bottom of the screen. Lastly, users can also follow teachers, ask them questions about their products, and rate teachers’ products on this app. 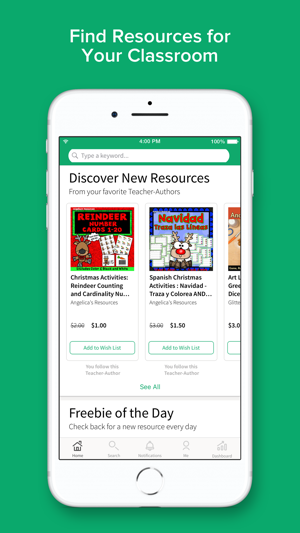 Teachers can search for and download materials from this app that they think they will be able to use in their classroom. 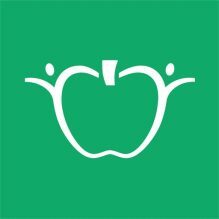 When teachers create materials that they think could benefit other teachers, they can post them to this app and allow fellow teachers to download them for free or at a cost. 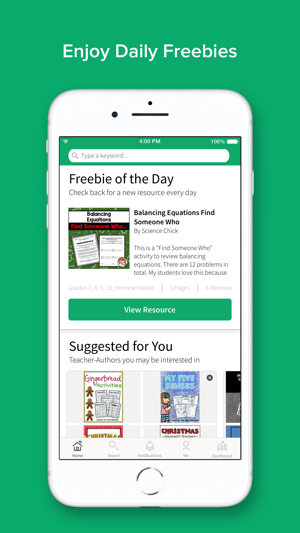 Teachers can send other teachers ideas or ask others about how they used a specific piece of material found in this app by posting a comment in the “Ask a Question” forum that accompanies each posting to this app. 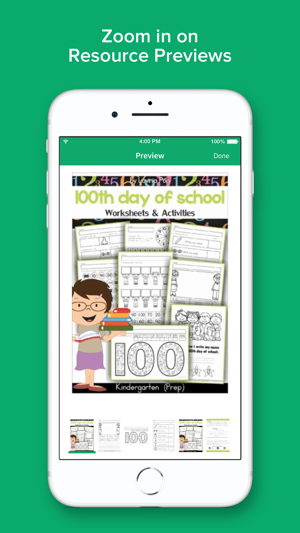 When brainstorming ideas for class, teachers can search for their grade level and subject area using this app, and preview materials found there.